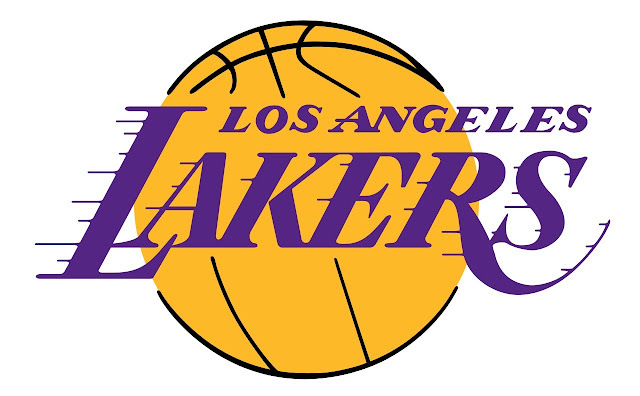 NBA – The LA Lakers host the visiting Houston Rockets for their 4th and final meeting of the 2018 - 2019 NBA Regular Season at Staples Center in Los Angeles, California. Both teams are coming from a loss before the 2019 All – Star break and one of these teams will get back in the winning column after the game. Prior to the game the Rockets is 3 – 0 over the Lakers in their head to head matchup this season. The Rockets won their first meeting 124 – 115, their second meeting 126 – 111 and their third meeting with 138 – 134. LeBron James has only missed their third meeting due to groin injury and is available to play in their final meeting. Meanwhile, Lakers superstar LeBron James promise to the media that he will be in his playoff mode as soon as the 2nd half of the season starts. In the game, the visiting Houston Rockets are in much control of the first half despite an early foul trouble to the reigning KIA MVP James Harden. The Rockets outscored the Lakers in the 1st quarter 32 – 22 posting an early double digit lead and 26 – 30 in the 2nd quarter to end the 1st half, 58 – 52 just up by 6 points. In the 3rd quarter, the Rockets are looking good starts to pull away in the game posting their biggest lead of 19 points, but the Lakers find their way to get back in the game just losing by 1 point in the 3rd quarter, 32 – 31 Rockets still up by 7 points 90 – 83. In the 4th and Final quarter, LeBron James showed up in playoff mode as his promise to lead the Lakers in getting back in the game outscoring the Rockets in the final quarter 28 – 16 to come away from a come from behind win 116 – 111. Lakers are now back in the winning column, but remains in 10th spot in the West with 29 wins and 29 losses which currently 2.5 games behind in the playoff brackets. While the Rockets extend their losing skid into 2 but remains in 5th spot in the West with 33 wins and 25 losses. LeBron James finish the game with 29 points, 11 rebounds and 6 assists while James Harden, who fouled in the in the game scored game high 30 points, 6 rebounds and 5 assist. NBA – American business magazine “Forbes“, has recently published the list of NBA players with the highest paid for the year 2018 – 2019 NBA Season. According to Forbes the list are based on the players NBA annual salary and their endorsement that will top the list of highest paid players. 1. LeBron James (LA Lakers) – For the fifth straight year LeBron James was named the highest paid player in the NBA when it comes to the combination of NBA Salary and endorsement deal. Although James is not the highest paid player in the NBA today when it comes to NBA salary, but due to massive endorsement deals with Nike, Coca-Cola, Beats By Dre and Blaze Pizza he made a grand total income of $88.7 million for 2018 – 2019 NBA Season. 2. Stephen Curry (Golden State Warriors) – Stephen Curry is currently the highest paid player in the NBA today when it comes with NBA salary, but due to less amount of endorsement compared to LeBron James he falls at 2nd place with $79.5 million. 3. Kevin Durant (Golden State Warriors) - Durant has been sacrificing his salary for the past 2 years since joining the Golden State Warriors that leads him into the list at 3rd place with $65 million. Next year he is expected to balloon his salary as a max player for whatever team he will be. 4. Russell Westbrook (Oklahoma City Thunder) – Westbrook made to the list at 4th place with $53.7 million. 5. James Harden (Houston Rockets) – The reigning MVP James Harden completed the list of the top 5 highest paid player with $47.4 million. NBA – For the second time in the newly formatted NBA All –Star Game LeBron James was named the Team Captain of the West from last year Team Captain of the East while Giannis Antetokounmpo made his first time as the Team Captain of the East. Unlike last year the draft for the 2019 All – Star Cast is televised where LeBron and Giannis will name their chosen player that will complete the All -Star lineup of Team LeBron and Team Giannis. Here are the list of Draft players for the 2019 NBA All - Star Game. Meanwhile LeBron James tied Kobe Bryant for the most All –Star starts with 15, this is also his second straight year named as Team Captain in the newly formatted All –Star Game. 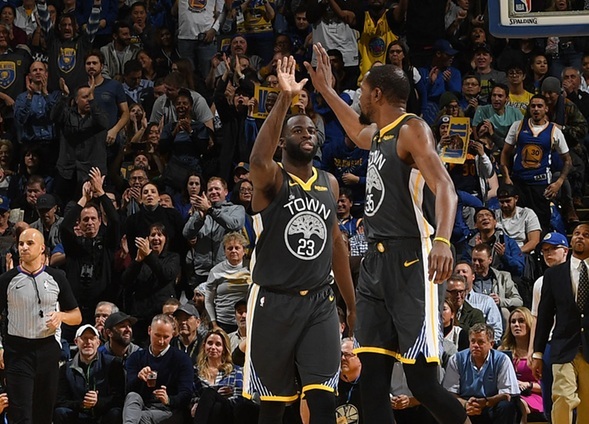 NBA – The defending back to back NBA Champion the Golden State Warriors host the visiting LA Lakers for their third and final matchup of the 2018 – 2019 NBA Regular Season at Oracle Arena in Oakland, California. The Warriors are trying to bounce back to the winning column after losing to the Philadelphia 76ers in their last game and get their revenge to the LA Lakers in a humiliating loss on Christmas Day. As expected the Warriors start strong in the game posting an early double digit lead in the early quarter but the Lakers made their own run in the 2nd and 3rd quarter to grab their biggest lead of 9 points. The Warriors made a late run in the 3rd quarter and carried the momentum in the 4th and final quarter of the game to dominate the Lakers with less LeBron James in 115 – 101 win at home. Warriors Klay Thompson leads all scorers with 28 points, Kevin Durant added 21 points while Stephen Curry exploded for 12 points in the final quarter after having only 2 points in the first 3 quarters. Brandon Ingram leads the Lakers in scoring with 20 points, Kyle Kuzma added 13 points in another disappointing loss with no LeBron James in the game who is suffering from a sore. Lakers are now in 10th place in the West Standing 2 games behind from making it to the playoff bracket. Meanwhile, Defending NBA Champion Golden State Warriors improve their standings to 37 wins and 15 loss currently tied with the Denver Nuggets at 1st place in the West Standing while the Lakers drop to 27 wins and 26 loss. LeBron James has already missed his 18th game of the season the most in his NBA career. He was out for the 17th straight game due to groin injury and after making a comeback from their last game against the LA Clippers in overtime win he was ruled out again due to soreness.